This Wednesday, May 15, the District Department of Transportation (DDOT) will hold a public meeting to discuss the planned installation of protected bicycle lanes along M Street, from Thomas Circle to 28th. 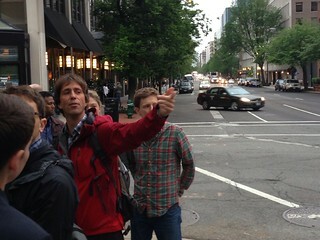 The public meeting will also discuss some of the observations of the Washington Area Bicyclist Association walking tour of M Street held Monday, May 6. 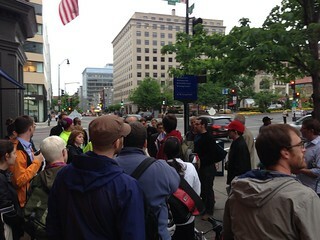 The meeting will be held at the West End Library, 1101 24th St. NW, beginning at 6:30 pm. BAC encourages you to attend this meeting so that DDOT can include your concerns or suggestions in its design for this new infrastructure. 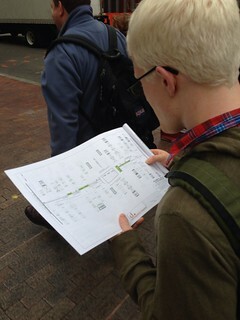 The one-way westbound M Street lanes will provide needed crosstown access for bicyclists and complements the L Street lanes, which were constructed last year. 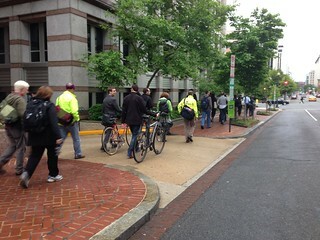 DDOT and WABA staff noted that it was important for the bicycling community to attend the meeting so that certain concerns addressed during the M Street walk and lessens learned from the installation of the L Street lanes are discussed. For example, as bicycling becomes more prevalent so too will the need for more bicycle parking along this corridor.